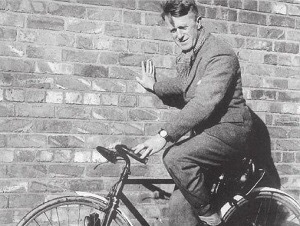 TE Lawrence – born on this day in 1888. 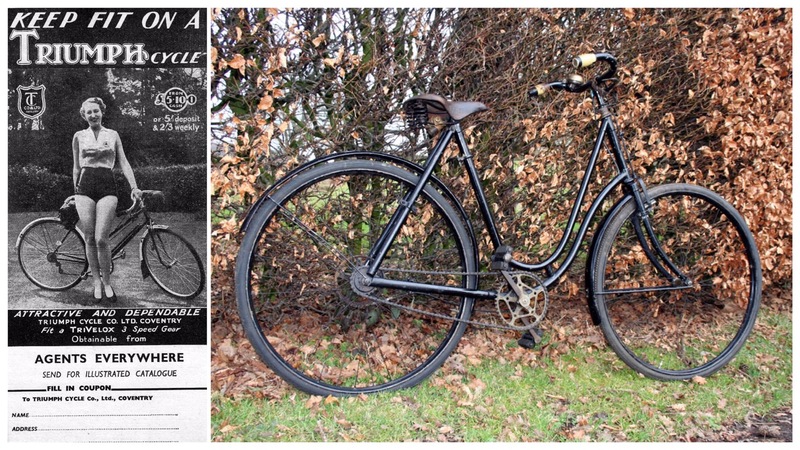 I want to ride my bicycle- This 1903 Triumph safety bike has such an elegant shape. With a sinuous open frame to allow women to pedal in their skirts. These old human powered machines just look so perfect in their functional purpose. 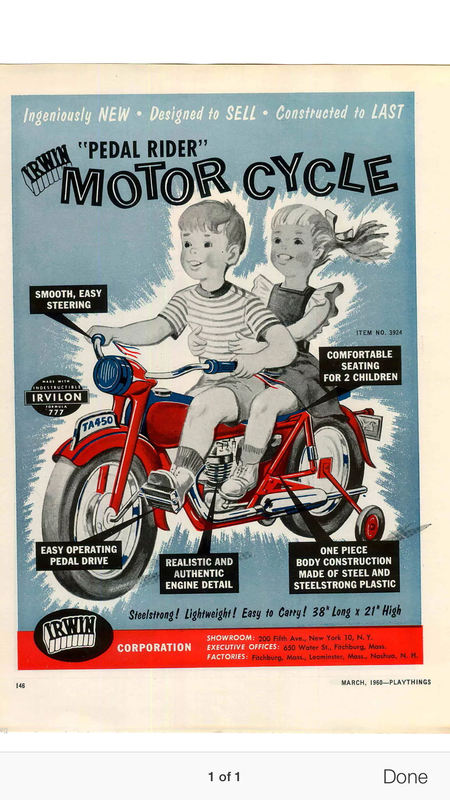 The advert to the left is a mid-Century model promoting the bike as a form of exercise; though the dropped cross bar seems a tad dated. 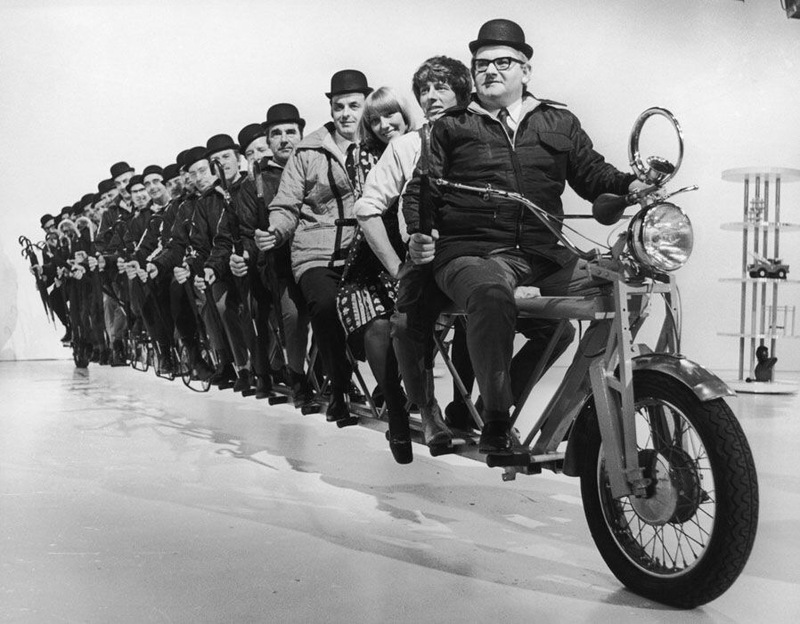 And it’s goodnight from him – Ronnie Barker is captain of this endless tandem passengers by other bowler hatted riders as well as Blue Peter favorites John Noakes and Lesley Judd. The front end is definitely motorcycle rated and the structural truss frame very engineered. This was October 5th 1972. The Vigintipede (21) was used by Littlehampton Rotary Club to raise money for the RNLI and the Blue Peter lifeboat. I read the news today oh boy – alas another day of infamy. December 8th 1980. John Lennon was shot dead and the world lost a force of creation. He was a complex chap, possibly hypocritical on his stance of world peace versus his personal life, but, either solo or with Paul, could write a damn good tune. The Grand Hotel – back from a weeks much needed vacation touring Michigan. We spend a night at the much lauded establishment on Mackinac Island, where only hotlrses and bicycles are used for transport. 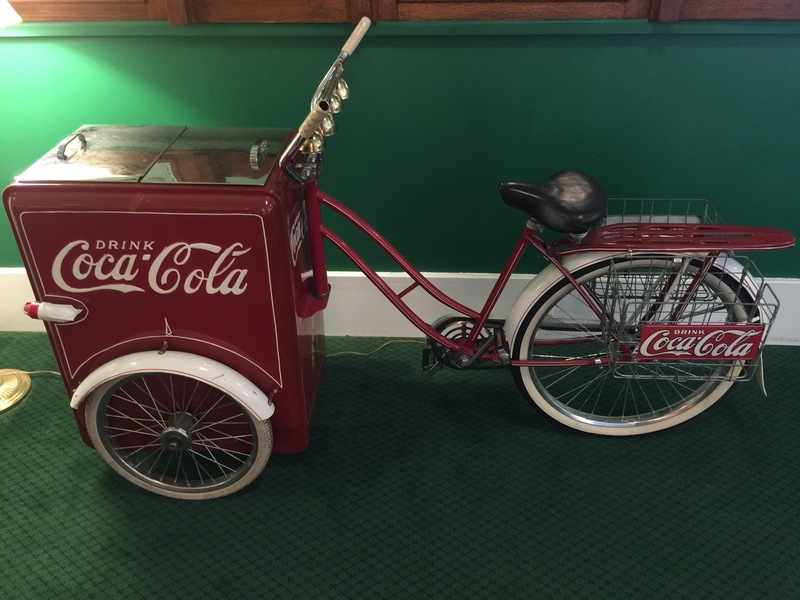 I spied this vintage Coca Cola delivery bike in the the foyer in red paint and shiny bell. 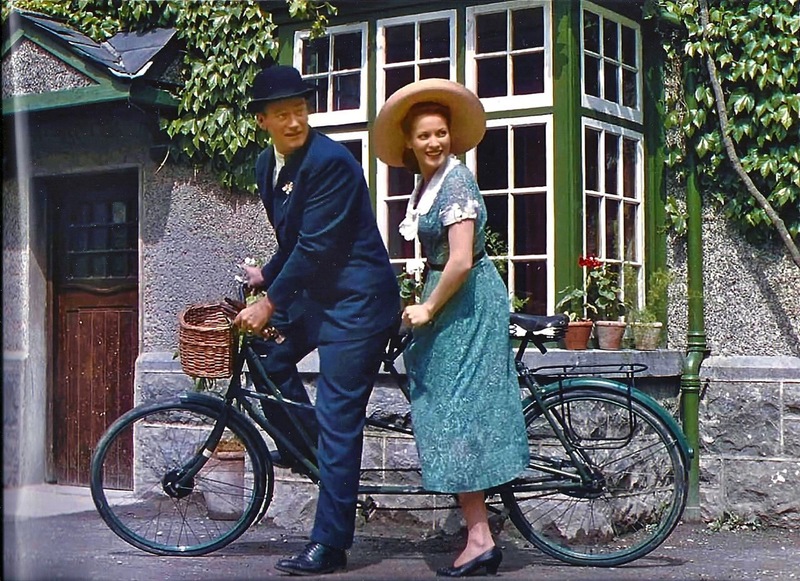 Some form of two wheeled transport is always wished for at Christmas. If I was a young ‘un back in the early sixties I want one of these. 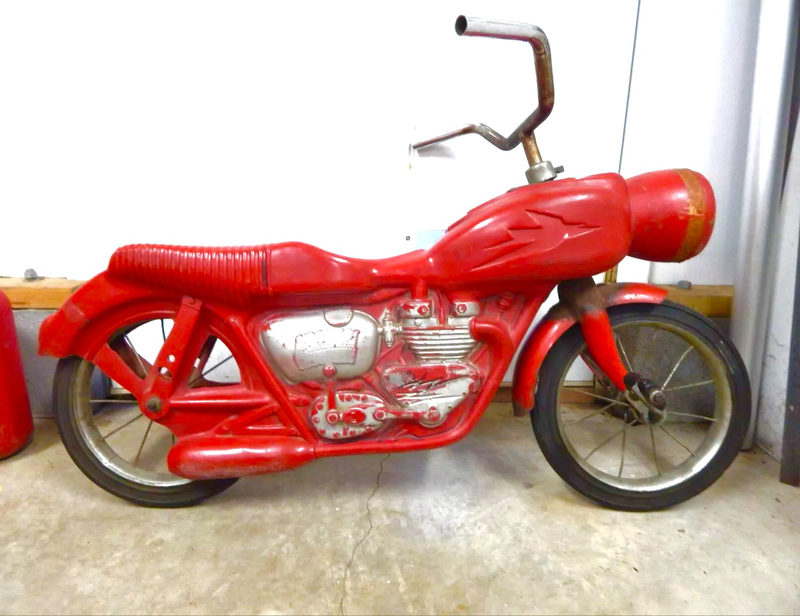 Red Triumph Thunderbird inspired pedal motorbike. I bet many a motorcyclist started out like this! Pillion capabilities too. This one was sold recently on EBay for $175. One of my old trusty fixed gear bikes.. Now long gone after an abrupt meeting with a car door. 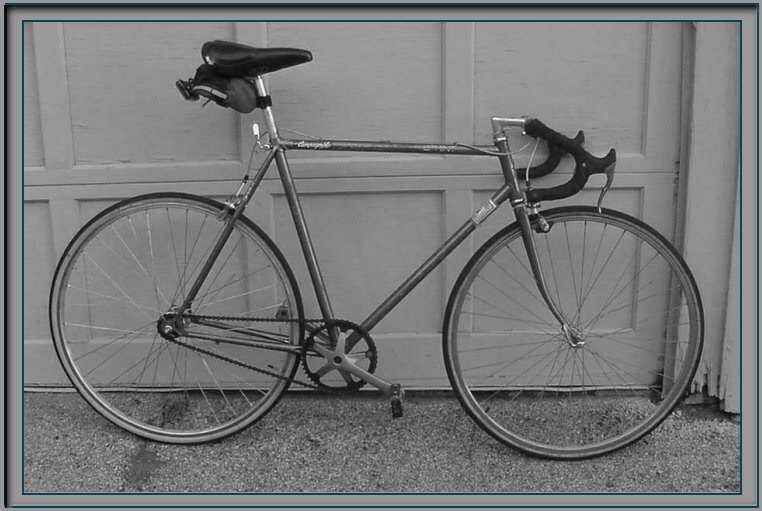 It was a steel framed Schwinn and 27″ wheels the rear being a flip flop fixed gear on one side and freewheel the other. Great for nipping around the City and up and down the Lakefront. 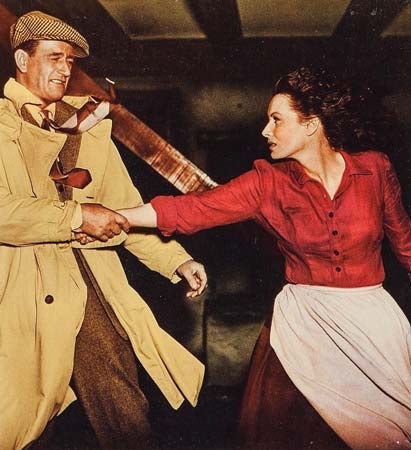 Maureen O’Hara who passed away yesterday was a feisty and beautiful Irish actress who met the leading men of the day as their equal. Here she played Mary Kate Danaher who was John Wayne’s love interest in what was my granda’s favorite film. One of the best scenes is when the Duke’s character ex boxer Sean Thornton has an epic fistfight with Mary Kate’s crabby brother. 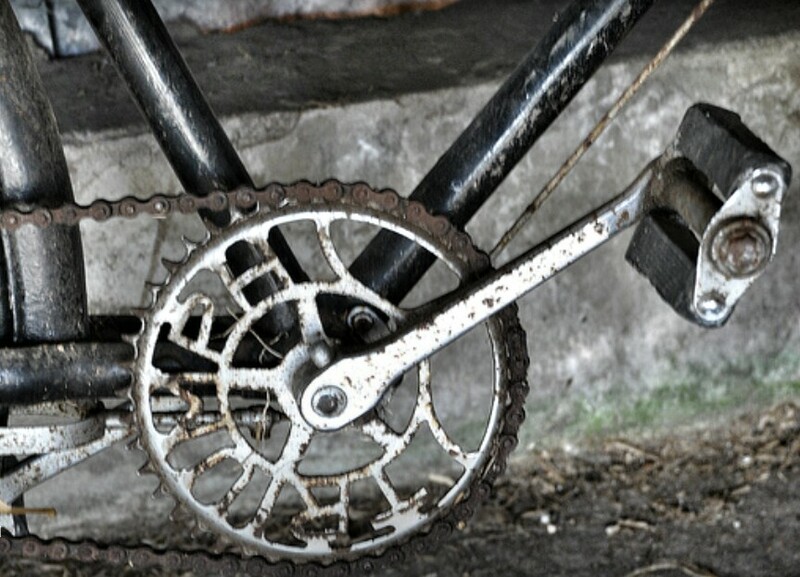 Old bicycles have beautiful features that hark to the craftsmanship that went into these popular modes of transport. The chairing where the pedals attach typically have the name or logo of the maker. Here’s Triumph. 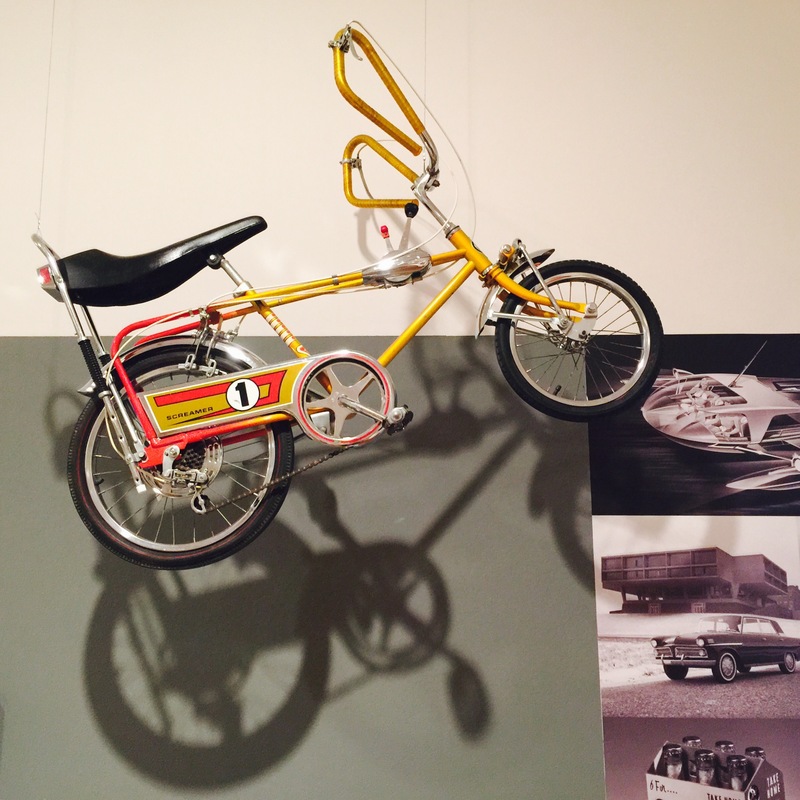 Look at that rod operated rear brake and the rubber tread pedals. 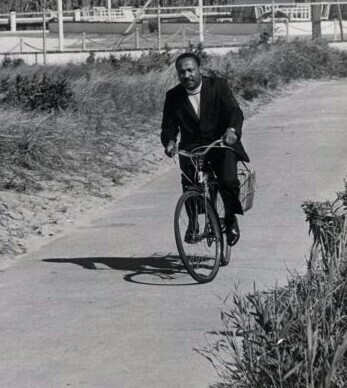 Martin Luther King Jr. Would have been 86 today. He gave a heartbeat, voice, and power to the unqual citizens. Promoting human rights to a minority. He has a dream that lives on. 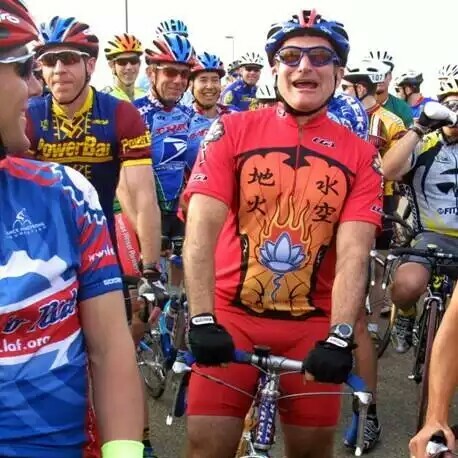 This cycling image shows the humility of the man. 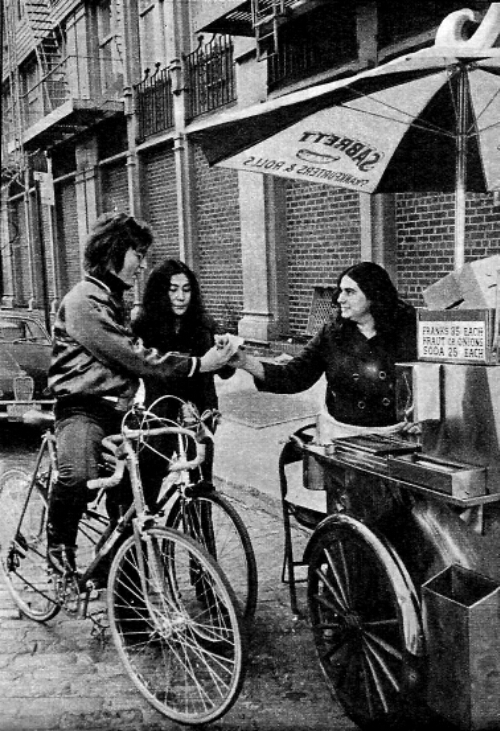 December 8th is Jim Morrison’s birthday, but more poignantly was the date John Lennon was shot in New York City 34 years ago. He could make you laugh so hard you’d cry; he could make you cry hard too. 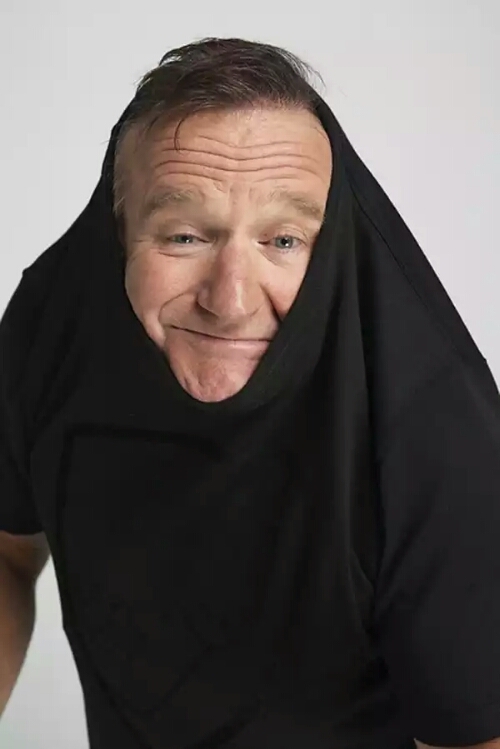 From off-planet Mork, to on-air hell-raisin Vietnam DJ Cronauer , influential teacher Keating at a stiff prep school in Dead Poets Society, a dogged doctor in Awakenings; his ragged professor of Good Will Hunting a true zenith of roles. And more. Stand-up to the heights of a frenetic manic colossus. 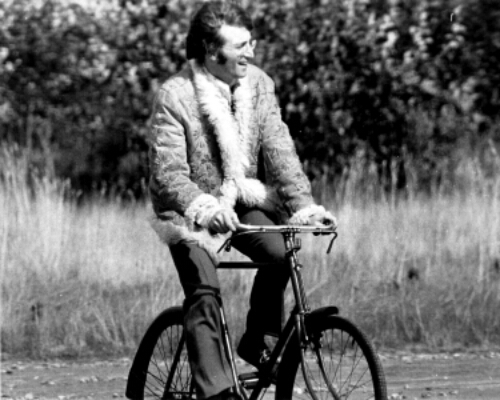 He rode and collected bicycles too.